Dr. Miller has built a reputation in our community for his gentle touch when it comes to orthodontic treatment. Not only is he able to create beautiful, healthy smiles for his patients, he does so in a time-effective, painless manner. 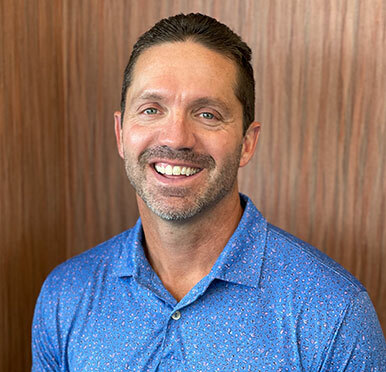 Together with his hand-picked, highly-trained staff, Dr. Miller spends time getting to know each patient and then works with them to develop a treatment plan that works with their goals and their lifestyle. Throughout the treatment process, lasting friendships naturally develop between Dr. Miller and his patients. These friendships make the work he does very rewarding. As he gets to know people, great stories and laughter are exchanged with each visit. Knowing that work not only allows him to make positive changes in a patient’s life, but that his day will be filled with meaningful interactions involving friends old and new, Dr. Miller really looks forward to a day in the office. There are always plenty of great smiles. Understanding that it is imperative to stay current with developments in his field, Dr. Miller actively pursues continuing education opportunities through seminars, lectures, and conferences. He also takes online training courses and participates in the Sonar Study Club, which is a local affiliate of the Seattle Study Club. Dr. Miller maintains professional affiliations with the American Dental Association and the American Association of Orthodontists. This allows him to connect with fellow orthodontic providers and to share in their gained wisdom and experience. It is also a way of working together to advance their field. The result is the best care available anywhere for his patients. A native of Marion, Dr. Miller has called Carmel, IN home for more than 20 years. He and his wife, Mendi, have three sons, Jordan, Logan, and Ryan, and a daughter named Kiley. When not in the office, Dr. Miller stays active with golfing, tennis, cross training, biking, water and snow skiing, fishing, and hiking. He also coaches youth sports. Occasionally, Dr. Miller finds time to enjoy a book as well. 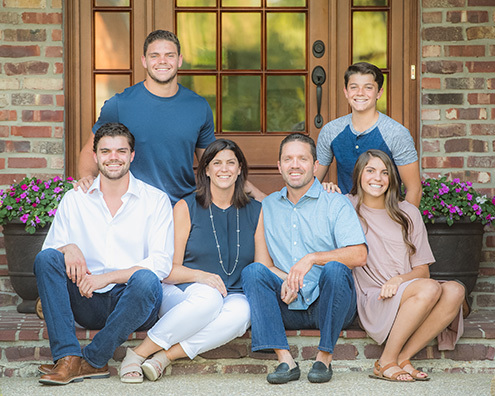 In addition to his involvement coaching and sponsoring Carmel Dads Club youth sporting programs, Dr. Miller travels annually to Nicaragua to do mission work with his family and church. Find Dr. Miller on Google+.